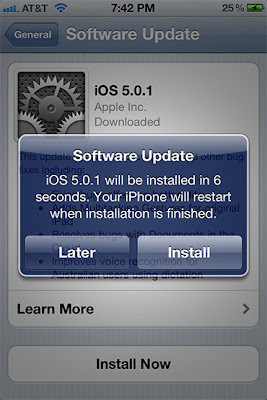 Apple has just released the new update package for iOS 5.0, the users can upgrade from iOS 5.0 to iOS 5.0.1 is just 6 seconds. 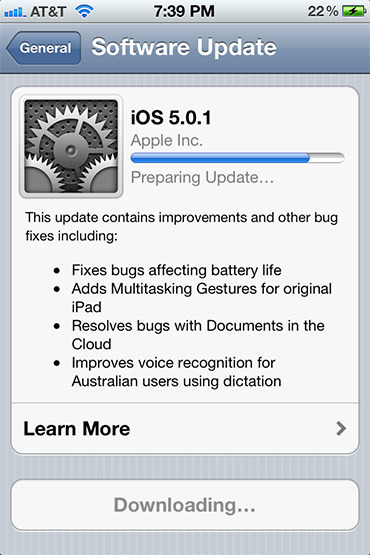 The latest upgrade process has been released for Apple iPhone 3GS, iPhone 4, iPhone 4S, iPad, iPad 2 and iPods. 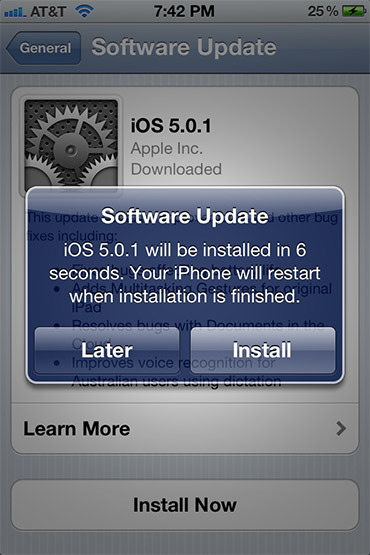 Apple makes the new upgrade process quite easy and fast without any further delay of time, users can upgrade to a new iOS 5.0.1 over the air without using iTunes software. iOS 5.0.1 includes many new updates like long battery life, more bug fixes, resolves iCloud compatibility issues and many more. Users who are already switched to the new iOS 5.0.1 saying that they have feel improvements in performance of their device and also their battery life is getting improve after up-gradation process.